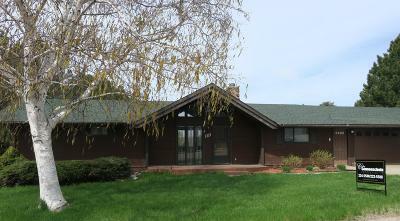 Unique, log ranch-style home features vaulted ceilings and walkout in a very desirable location. 4 bedroom, 2 bath, with spacious kitchen open to dining room & patio doors to deck. Living room boasts of wood fireplace and lots of natural lighting. Large family room in LL with a wet bar for entertaining. Close to Missouri River and walking path. Nice view & great neighborhood!